HALIFAX -- For the first time in Atlantic Canadian waters, scientists have tagged a great white shark in an effort to better understand the predator's movements off Canada. 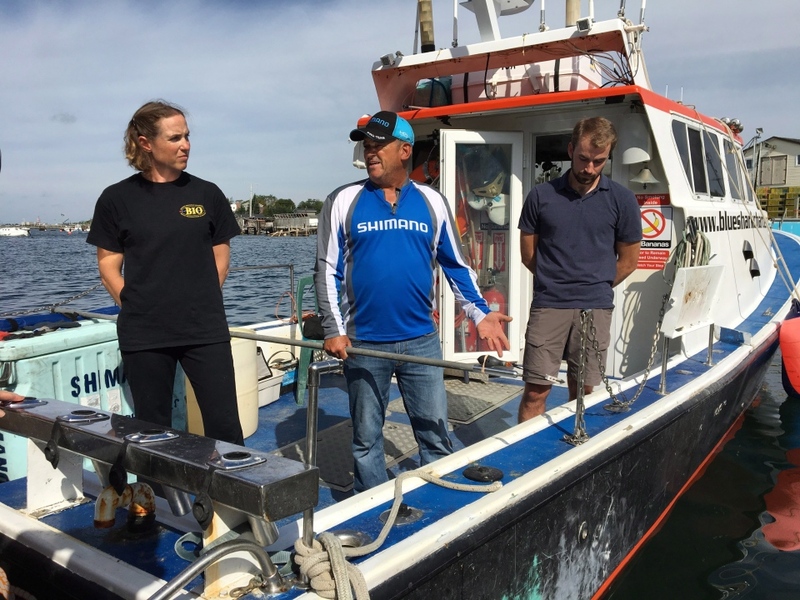 Heather Bowlby, a researcher with the federal government's Bedford Institute of Oceanography in Halifax, said the three-metre juvenile male shark was satellite-tagged off southwest Nova Scotia last week. "This was our second tagging attempt in Canadian waters," said Bowlby, standing on the same charter boat used to tag the shark, docked Tuesday in a fishing village in Eastern Passage. "To our knowledge, this is the first time that an archival satellite tag or any type of satellite tag has been applied to a white shark while in Canada, although we have had information from tags applied in the U.S. that have come to Canadian waters previous to this." Bowlby said the tag information will assist in understanding where white sharks move in Canadian waters, and help inform recovery and protection efforts. 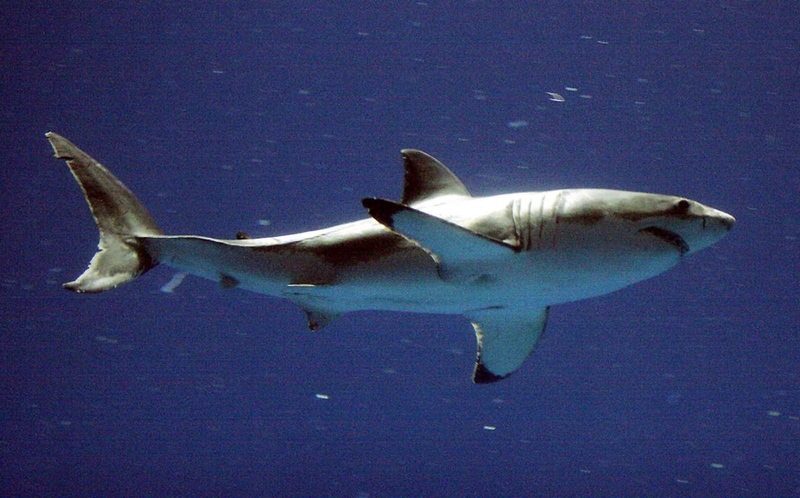 White sharks are listed as endangered in Canada's Species At Risk Act. She said data collected from the archival tag will not be known for nine months -- it will pop off and float to the surface at that time and transmit the information to a satellite. "We will have to wait patiently, but when the tag does pop off, we'll be able to analyze its depth and temperature use relative to some ocean current modeling that's been done, to look at both where it was in Canada as well as how it was behaving, how close it was to the coast, as well as what its behaviour might have been," said Bowlby. "We would have information on things like swimming speed and those types of questions." Bowlby said she wanted to have minimal interaction with the shark, with the tagging happening very quickly and in the water, to ensure the team had minimal impact on its behaviour to "get the best information possible." 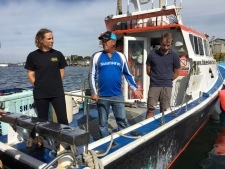 Bowlby, along with skipper Art Gaetan and first mate Nathan Glenn of Blue Shark Charters, set off on the mission last Monday in Gaetan's 11-metre boat, using a slick of ground-up fish and tuna heads to attract the large fish. "We started having bait being taken from us," said Gaetan, as dozens of seagulls screeched overhead under sunny skies. "Nathan was the one who actually seen this splashing and white water all over the place ... and so we went racing over there and that's when we pretty much got our confirmation that it had been a white shark. He had taken the bait, bit the line off, and was swimming around the red float for a bit and then left." "(Nathan) had come back to check a bucket to give it a shake for a drift, and when he went back and looked over the side, mister man was looking at him," said Gaetan. "So it was quite a little fright that he had." The whole process took three to five minutes, "but it felt like about three to five days," said Gaetan. "There was one time where the fish tail came up and whacked the side of the boat," he said. "It's amazing the adrenaline that will start going through your body once everything starts happening." It's an experience Gaetan won't soon forget: "I am complete," he quipped. Bowlby said it's possible more great white sharks are coming to Canadian waters. "There have been more sightings of whites up in around Canada. There's more tagging effort as well and so there's been more tag detections," said Bowlby, who works at the Bedford Institute of Oceanography in a team of three, but frequently collaborates with other organizations. "But there's been no population size estimate for white shark in the North Atlantic, so it's unknown whether this represent substantial population increase."